As we all know DC is trying to go against Marvel in the movie world and they are making plans accordingly. Every time we turn around they are adding another character to the Batman vs Superman movie. That movie as we all know is officially called Batman V Superman: Dawn of Justice. The sequel to that movie will be called Justice League. Yes you heard correctly, they already have the official title for the sequel, so hopefully they are truly planning ahead when it comes to these movies. Okay, let me get back on track. The actor who will be officially playing Aquaman has been announced and it is none other than Jason Momoa from Game of Thrones and Conan the Barbarian. He previously denied it but now it has been officially confirmed. I have always enjoyed the Aquaman character and hope that he takes the role seriously. I wonder if they will dye his hair blonde.......they better! 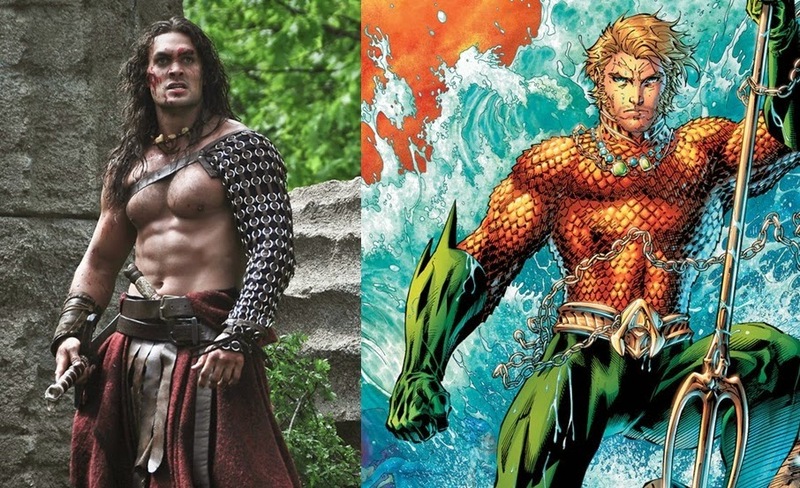 What are your thoughts on Momoa as Aquaman?